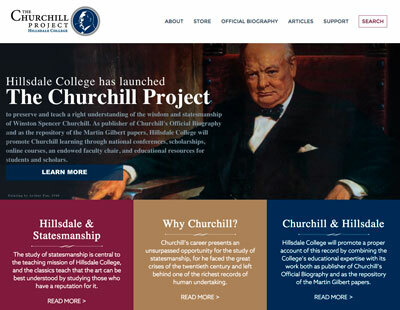 *Excerpt­ed from the Hills­dale Col­lege Churchill Project. To read the com­plete arti­cle, click here. 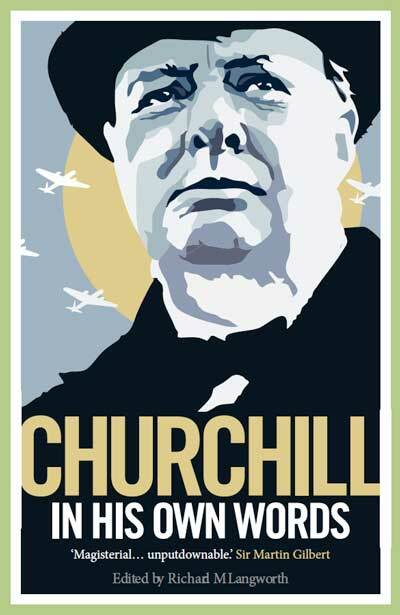 From the solemn moment when the world knew that Win­ston Churchill had breathed his last, a roll of hon­our of some 17th-cen­tu­ry poet elu­sive­ly haunt­ed me. To lay it I asked friends, poets, and pub­lish­ers, even All Souls Col­lege. 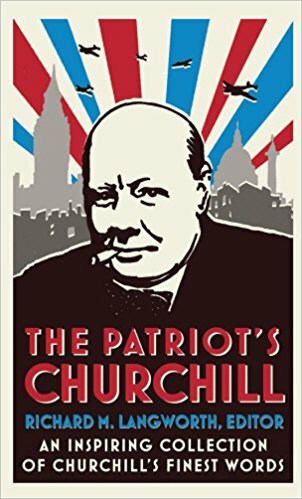 All remem­bered it, but none could place the lines that say: “O that Sir Philip Sid­ney should be dead….O that Sir Wal­ter Raleigh should be dead.”’ Many anoth­er glo­ri­ous name is list­ed, and now we can add: O that Sir Win­ston Churchill should be dead. No man deserved his lau­rels more whol­ly. He left us the exam­ple of his prowess, the books that record his great times; and more than these he left us courage. Some years ago I wrote for my own records what I remem­bered about him over fifty years, and among these notes comes a facet of his life that in the ele­gies and paeans of today may not be empha­sized. I mean his life with his wife and the part she played in bal­anc­ing his lion’s heart. For Win­ston, who in our most dread days armed us with a super­hu­man courage and endurance, vic­to­ri­ous­ly chose his wife with love, wis­dom, and intu­ition. Among prime min­is­ters I have per­son­al­ly known, Mr. Asquith chose (or was he cho­sen by?) a Chris­t­ian dynamo who loved him till his end and after. Lord Bald­win could not sus­tain life after his wife’s death. There was Tolstoy’s mar­riage of unadul­ter­at­ed and increas­ing mis­ery. Yet who but Sofya Andreev­na could he have found to bear him thir­teen lit­tle Rus­sians and copy War and Peace sev­en times with her own hand? A wise choice indeed. Dis­raeli mar­ried out of cold sense rather than sen­ti­ment, and learned to love his wife ten­der­ly. Mrs. Glad­stone was adored by William, for whom she would hide in her bodice cakes and good­ies from par­ty tables. 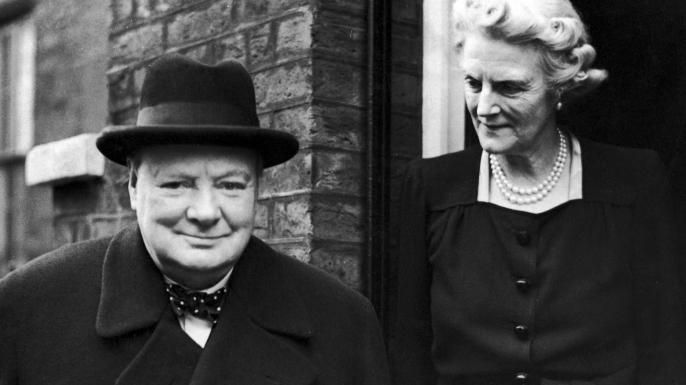 Clemen­tine Churchill could have fig­ured in a Home­r­ic sto­ry. She was stat­ue-like, and one expect­ed to see her car­ry­ing an agate lamp. Her large, light­est of blue-green eyes, her chis­eled nose and ele­gant­ly upheld head sug­gest­ed a god­dess of the infant world. Blood coursed through the mar­ble, flush­ing it with ani­ma­tion, warmth, some­times ris­ing to pas­sion­ate heat in par­ti­san­ship of a cause. Calm she also had, with a well-bal­anced judg­ment of peo­ple and situations—consistent and reli­able. She often knew the sheep from the goats bet­ter than Win­ston did. “Clem­mie sits behind me on the plat­form, shak­ing her beau­ti­ful head in dis­agree­ment with some new and preg­nant point I am devel­op­ing,” I remem­ber his say­ing, with pride in her sta­ble Lib­er­al­ism, after some Tory meet­ing. Her devo­tion nev­er sub­ject­ed her to becom­ing a door­mat, or to tak­ing the eas­i­er way with her high-pow­ered Her­cules. 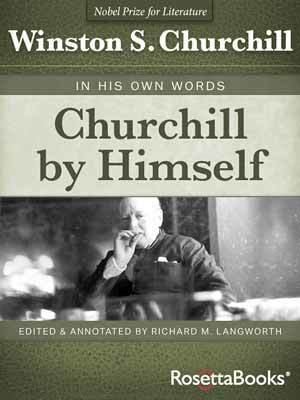 Per­son­al­ly I did not know the Churchills when they mar­ried, though they were house­hold words since I first remem­ber adult talk. Lat­er I knew there were chil­dren; that a lit­tle girl by dying had plunged her moth­er into deep grief which left a per­ma­nent scar. Nei­ther Ran­dolph, an Olympian-look­ing boy, nor the two old­er daugh­ters did I set eyes upon till they were grown up. Mary, the youngest, was still a child when, in the Thir­ties, I came more inti­mate­ly into the home life of Chartwell. Life at Chartwell before the war was that of England’s “Lit­tle Man” on a titan­ic scale. I remem­ber par­tic­u­lar­ly a week­end spent most­ly in Winston’s swim­ming pool. Forty winks in the after­noon and then (unex­pect­ed­ly) bathing at sev­en in pour­ing rain, intense­ly cold with a grey half-light of approach­ing night, yet curi­ous­ly enough very enjoy­able in its odd­ness. Fre­da Ward, Win­ston, Duff, Clemen­tine, Ran­dolph and a child, in fact the whole par­ty, were splash­ing about with glee­ful screams in this sad cre­pus­cule. The secret was that the bath was heat­ed, and it was Winston’s delight­ful toy. Twen­ty-four hours lat­er he called for Inch­es, the but­ler, and said: “Tell Allen to have a lot more coal on. I want the thing full blast.”’ Inch­es returned to say that Allen was out for the day. 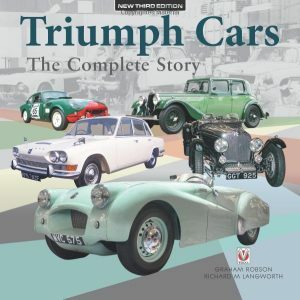 “Then tell Arthur I want it full blast,”’ but it was Arthur’s day out as well, so the dar­ling old school­boy went sur­rep­ti­tious­ly and stoked it him­self for half an hour, com­ing in on the verge of apoplexy. Again we all had to bathe in the after­noon. Serene, radi­ant, and self­less, Clemen­tine put her hus­band above her chil­dren, her inter­ests, and the whole world. Man­ners and grace, order and good taste must have been con­sid­ered essen­tial, for these virtues showed bright­ly. And the virtues were vital, for Chartwell was large. Enter­pris­es took the shape of earth­works and water­works. The staff must include a posse of sec­re­taries to cope with stacks of ref­er­ence books, red box­es, man­u­scripts of books to be. Stu­dios and pas­sages bore piled pyra­mids of can­vas­es. Mid­night oil for­ev­er burned. Of all the heroes, of Hec­tor, of Lysander, and of Cae­sar, Clementine’s paragon was prob­a­bly the eas­i­est to live beside. At least my eyes saw him as most docile to her rule. I nev­er heard Win­ston nagged. All great men are more child­ish than good women, and there must have been, behind the scenes, some Mrs. Cau­dle lec­tures, some of the scold­ing that a nan­ny gives her charge for child­ish­ness, show­ing off, overex­cite­ment, obsti­na­cy, or sulks, some promise extract­ed that such behav­iour would not hap­pen again. I can hear his prime minister’s pro­fessed pen­i­tence, the vow made and nev­er kept by the incor­ri­gi­ble school­boy. One of his dear­est asso­ciates tells me that those who were clos­est to this extra­or­di­nary man through the fear­ful war were struck by the con­trast between Win­ston at work and Win­ston, the fam­i­ly man, at play. They might spend a whole after­noon lis­ten­ing to him as the great states­man, pro­pound­ing plans on which the lives of mil­lions of men and the world’s future would depend, and a few min­utes lat­er they would see him at the din­ner table, a benev­o­lent old codger, twin­kling with humour, treat­ed as a naughty child by his wife, and mer­ci­less­ly teased by his daugh­ters. 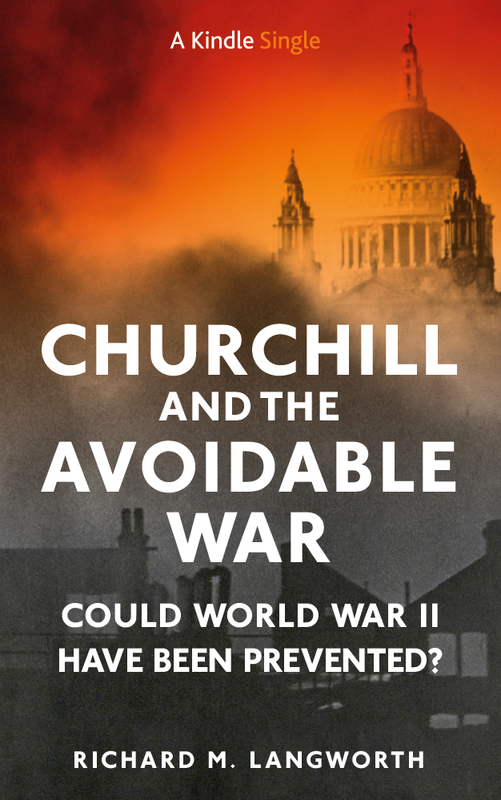 In wartime, away from Chartwell, dif­fi­cul­ties increased apace. There came a time in the war when Win­ston, aged six­ty-five, found the free coun­tries around him gagged and fet­tered, and all his for­ti­tude was called upon. In those days Clementine’s bur­den became colos­sal. Five hours’ sleep at night and an hour’s sies­ta were all that this rest­less phe­nom­e­non allowed him­self. What oth­er wife could have restrained her­self from urg­ing him to bed? But she learned in their finest hour to know the moment for self-efface­ment and the moment to take charge. Once, he was anx­ious to see M. Paul Rey­naud in France. His col­leagues and the fly­ing men tried to dis­suade him from a flight through dan­ger and tem­pest. Clemen­tine was besought by an appre­hen­sive friend to influ­ence her hus­band against tak­ing this risk. “Are the RAF fly­ing today?” she asked. “Yes, but on essen­tial oper­a­tions only.” “Well, Win­ston says that his mis­sion is an essen­tial oper­a­tion.” That was all the sat­is­fac­tion he got from this Tro­jan woman. The Prime Min­is­ter went—and returned. The task would have been too heavy for most women to car­ry. It has always been my temp­ta­tion to put myself in oth­er people’s shoes: into a ballerina’s points as she feels age weight upon her spring; into Cinderella’s slip­pers as she dances till mid­night; inside the jack­boot that kicks; into the Tommy’s boots that tramp. With expe­ri­ence of age I have learned to con­trol this habit of sym­pa­thy which deforms truth. In war days I often put myself into Clemmie’s shoes, and as often felt how they pinched and rubbed till I kicked them off, hero­ic soles and all, and begged my hus­band to rest and be care­ful. For­tu­nate­ly, Clemen­tine was a mor­tal of anoth­er clay. By 1944, Christ­mas wore a brighter look. On its eve the chil­dren were already assem­bled at Che­quers. A spe­cial Christ­mas tree, a present from Pres­i­dent Roo­sevelt, stood ready for light­ing. The grand­chil­dren, all agog with antic­i­pa­tion, were frus­trat­ed by a telegram from Athens. It brought the dis­turb­ing news that the sit­u­a­tion there was crit­i­cal. Win­ston char­ac­ter­is­ti­cal­ly decid­ed to leave Lon­don by air that very night. Did Clemen­tine protest? Did she tell him he was being cru­el to the chil­dren and spoil­ing every­thing for every­one? Beg for post­pone­ment till after the Christ­mas din­ner, till after lunch, at least till after the giv­ing of presents and kiss­es? I doubt it. She had become a friend of sac­ri­fice. So Win­ston flew away that night, man­aged to scotch a com­mu­nist coup d’etat, and Greece remained free. That is what the reports told us. I hope they told the Greeks. Oh dear. Lady Diana and I would not agree. Please check this review. 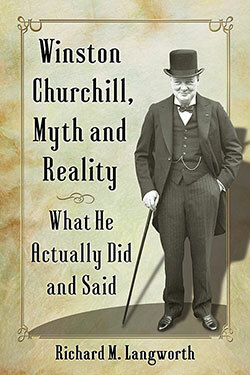 The book to read about Clemen­tine Churchill remains the clas­sic award win­ner by Mary Soames. Have just read Sonia Purcell’s biog­ra­phy of Clemen­tine. This was a fit­ting epi­logue.